The light switch part is available separately. 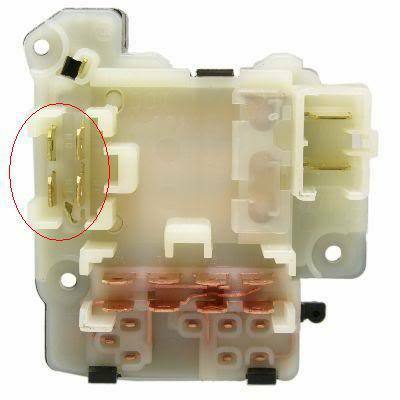 Once the combination switch is removed from the steering column (after the steering wheel is removed), the light switch is unscrewed from its hidden side (3 screws). There are two types of light switches though, I found this out when I bought a &quot;spare&quot; combination switch for myself: some light switches (I think for fuel injected ones) have a 5-terminal connector, and others (like mine) have the 4-terminal connector. You can check out to see if voltage is getting to the switch, and then getting through the switch, with a 12 volt test light or DC voltmeter; with a pointy-end test light lead you should be able to test the headlight switch after removing the upper and lower steering column covers. Head light switches are about $60 special order, like at AutoZone, #SW2691 or #SW2692. See look at the photos and you'll see a difference, and I believe the one for carbureted versions typically is mostly white, the other is all-black. Yep, similar to me. I bought a spare, and the light switch part was different. However, you should be able to use that 5-terminal switch if you want (switch over the arm to match) by crimping female terminals onto the four wires (or making short male to female wires). The &quot;HB&quot; terminal on the 5-terminal switch would not be connected. See below. 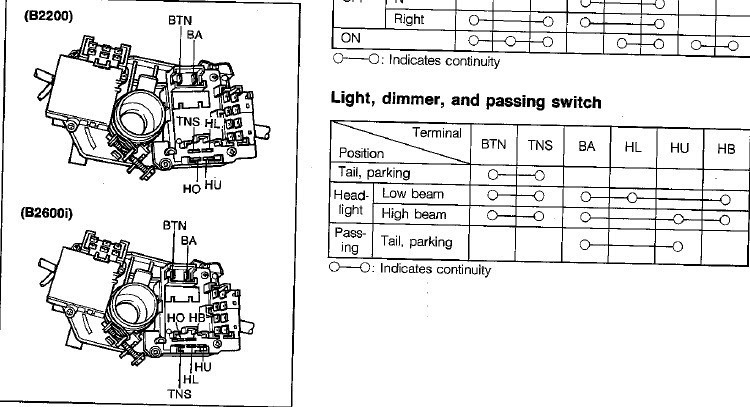 I have written down (for my 1988 B2200) that the thinner RB goes to the instrument panel, the marker lights, the tail lights. The thicker RB wire goes to low beam, the RW goes to high beam. A GB provides the positive voltage in. Very nice Cusser! Yeah, we need to find out why some have the 5 terminals and others have the 4.........watching it rain like hell here......tropical storm Beryl is erasing our drought here in north FL......glad I got the roof all shingled! There is more info on repairing the factory headlight switch in this link as well! I believe 5 terminal switches are for 4WD models, lights up the 4x4 on the dash. 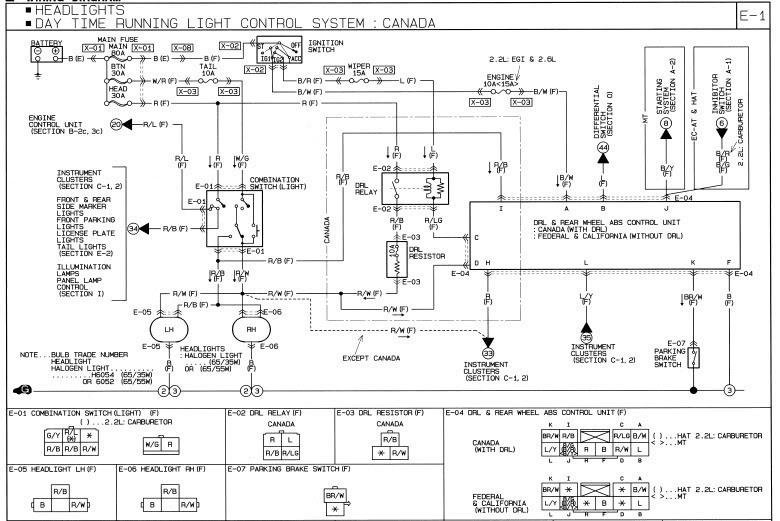 I don't agree with that - Jiffy (on this board) has a 1993 (or 1992) carbureted B2200, and his used a 5-terminal switch, I saw it, sold him one of that type. Up until then I had thought they were for fuel-injected models, but obviously no rhyme or reason, unless someone figures this out.